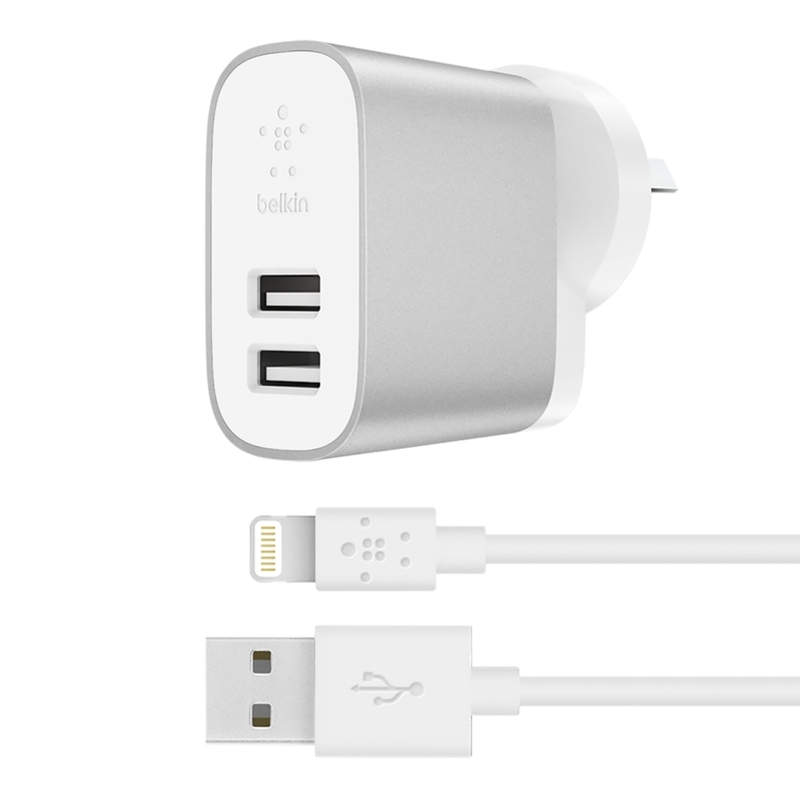 It’s easy to keep your devices charged with this 2-port charger and included Lightning to USB-A cable. 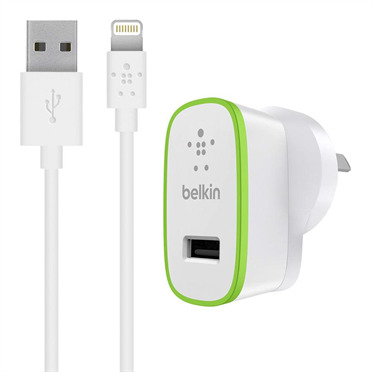 The universal USB-A ports work with smartphones, tablets, power banks, digital cameras, and more. 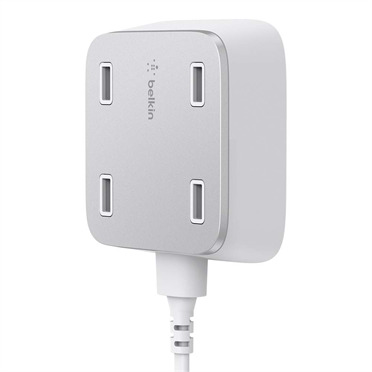 With a whopping 24 watts, you can power two devices simultaneously at up to 12 watts, each. 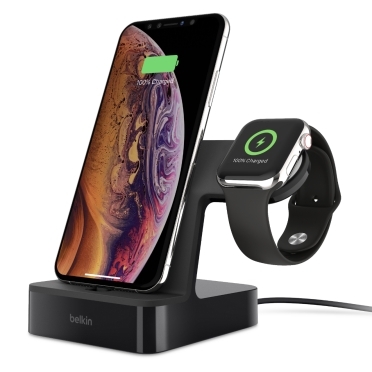 With 12 watts in each port for a total of 24 watts, the BOOST↑CHARGE 2-Port Home Charger is ready to provide optimal power to two devices at the same time. Spend less time connected to the outlets and more time doing the things you love. 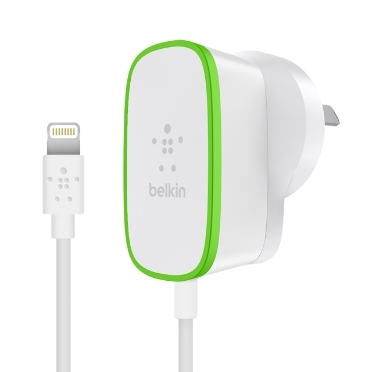 Measuring 4 feet/1.2 meters, the included cable can reach from outlet to desk or nightstand with ease, allowing you to use your devices while charging. MFi certification ensures that your cable is optimized for iPhone and meets Apple’s standards. Both USB-A ports are universal, so you can connect any USB-A cable. Power smartphones, tablets, cameras, power banks, Bluetooth® speakers, smart watches, and more with a single home charger.